After twenty years of traveling together as a couple (now fourteen with children) staying in vacation rentals while we travel is our favorite way. Since then, we’ve become successful vacation rental hosts. Our first experience staying in a guest home was when we were hosted in California wine country, in Napa, nestled deep in the vineyards. In 2004, we sold everything we owned except what heirlooms fit in an 8×8 U-Haul and moved to Europe. When we lived abroad for nearly a year in 2004, we almost always stayed off the beaten path in agriturismos and gite-rurals: vacation rentals. We learned to holiday, set time aside as holy, not to just vacation while we were in Europe. How we got started renting our property is a roundabout way (and another story!) but an answer to a long time dream. When we got married on a destination wedding before they were the “cool” thing to do, we knew we loved having a home away from home. We rented a beautiful home in St. Lucia for the second week of our honeymoon- fell in love with the experience, and began to dream about having our own B&B or vacation rental(s) someday to share our love of hospitality. We actually almost moved to Belize to operate a small resort of vacation rental type properties in 2005, but God had other plans. Through these years of staying in, and since 2012, being blessed to fulfill a dream and host our own vacation rental at the beach on sites like VRBO and now Faith Stay, we’ve learned a few things about being a great host (so our guests say!) and have developed an even deeper heart for hospitality. Look at your vacation rental as if you were going to stay there. What would make it comfortable for you and set it apart? Think about the golden rule: treating others how you’d want to be treated. Make it easy for your guests to arrive. We’ve created a pre-arrival email and checklist and installed a keyless entry system to simplify the check-in process. Leave a fantastic welcome basket with coffee, creamer, sugar, and some fresh fruits (local if possible,) breakfast bread and sweet honey! Keep it clean! Use white linens that can be bleached and feel fresh for your guests. Use a cleaning service who becomes familiar with the property and build it into your price. Surround the place with heart and art. Use your space to display local artists and let then become creative while they are at your place. Maybe even leave some markers and paper? Leave a note for your guests to welcome them. Say something personal. I always leave a scripture on a chalkboard with our guests names. Create a book of your favorite local hidden spots/ eateries/ coffee shops/ art galleries/ parks, etc. Have a guest book available for signing and reading, and encourage your visitors to share some of their favorite experiences. It will bless you and your future guests. We just filled our first guest book, and it’s become one of my most cherished memories! Be generous. Know a missionary who needs a furlough? Let them stay. How about a college student passing through and your house is available? Yep. Host them for a few nights. A visiting pastor coming to speak at your church? You guessed it: give it away. Remember, the Lord loves a cheerful giver and always blesses those with a generous heart. Considering hosting? Contact Evolve Vacation Rental Network and tell them Jen Reyneri sent you, we’ll both get a credit of $250! Awesome! Do you already host? What are some of your favorite tips? 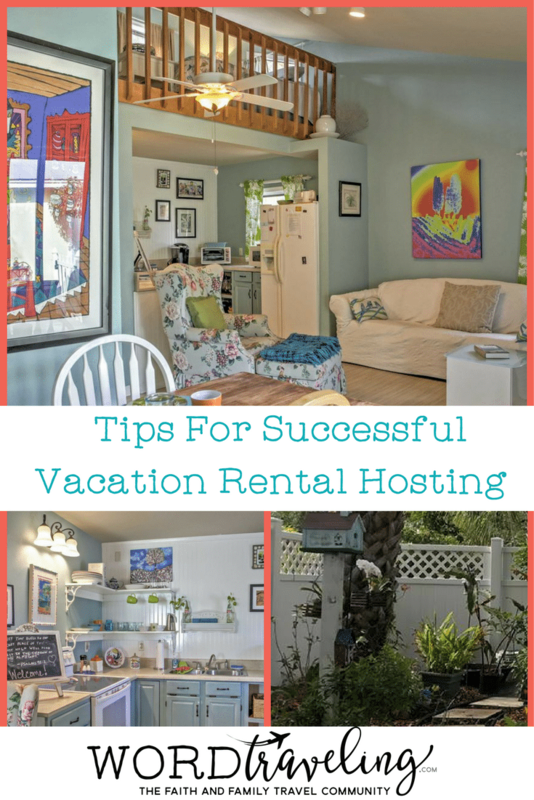 I loved reading through your vacation rental tips for hosts. 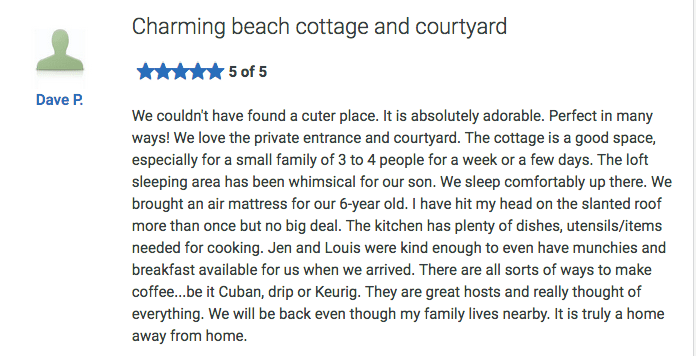 My husband and I are looking for some beach rentals so that my family can go on a beach trip. I hope we find a rental who has a host that follow these tips!